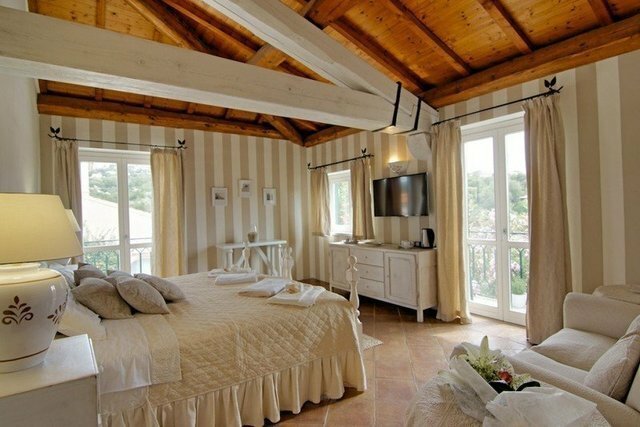 ​Stunning property in the heart of Porto Rotondo, one of the most desirable tourist destinations in the Mediterranean. The penthouse, located on the first floor, consists of 260 commercial sqm, currently composed of hallway and 5 luxurious suites, all with private bathroom, with 5 balconies. All rooms are furnished with taste, elegance and extreme attention to detail to ensure maximum comfort. Wooden beams, hand-painted majolica tiles, quality linen, fabrics and Sardinian carpets demonstrate the care taken by the owner of this property, making the rooms even more welcoming. Used as a room rental, the property is for residential use and offers wide and very bright spaces. It is therefore suitable to being used as a private residence with a view to internal re-imagining of the spaces. Its strategic position allows to reach on foot all the services offered by the characteristic village of Porto Rotondo: boutiques, shops, restaurants, clubs and the fully equipped Marina. Although boasting a central location the apartment is only a few minutes from some of the most beautiful beaches in Sardinia, including the picturesque Ira beach. An unmissable opportunity for lovers of the sea and good living, a perfect combination reflected by the exclusive context of Porto Rotondo.